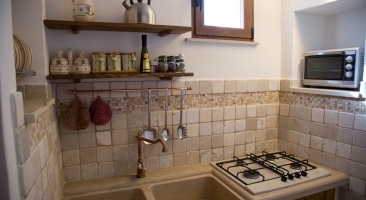 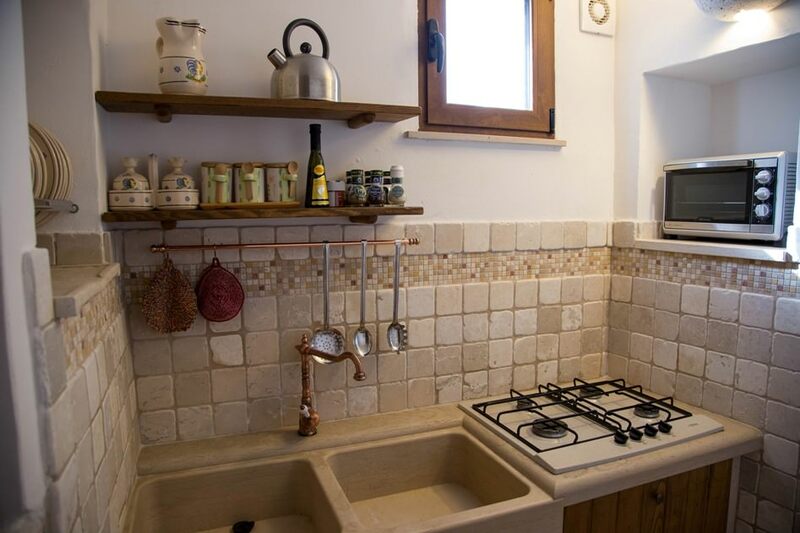 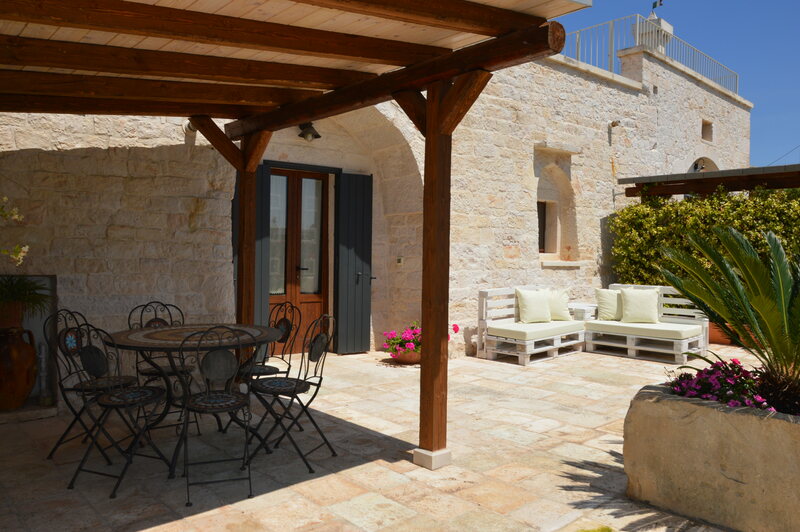 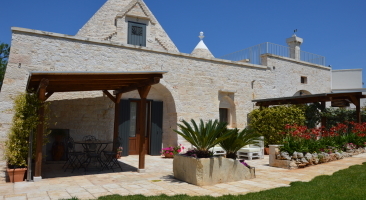 with a pleasant home atmosphere combined with typically Apulian features. 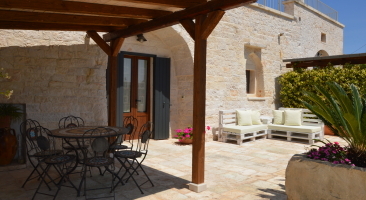 What used to be the farmer’s house 200 years ago is now a comfortable house for a family or a group of friends. 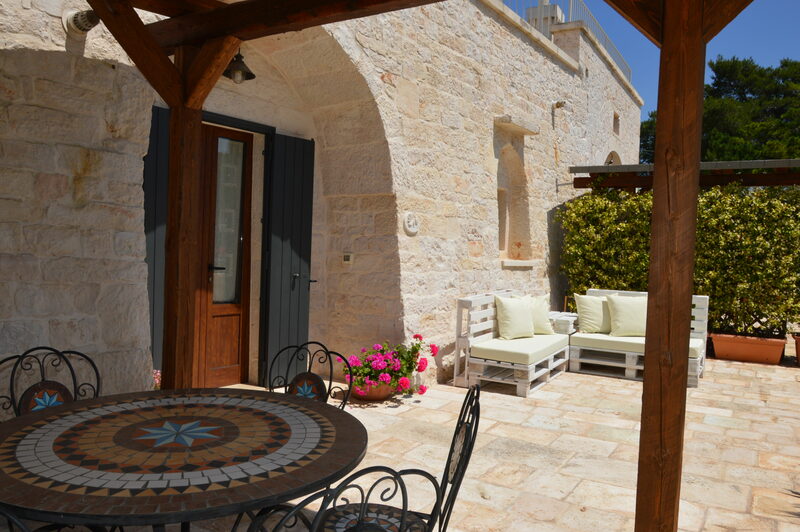 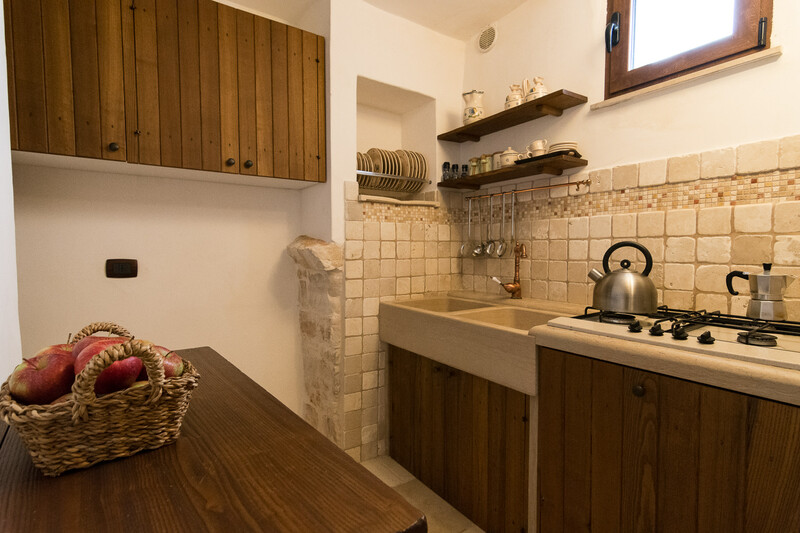 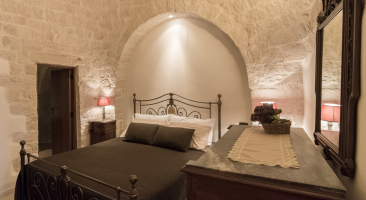 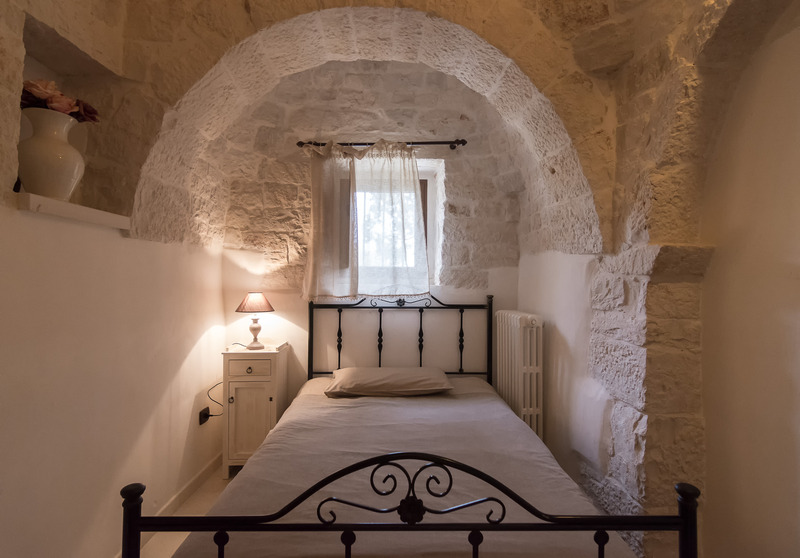 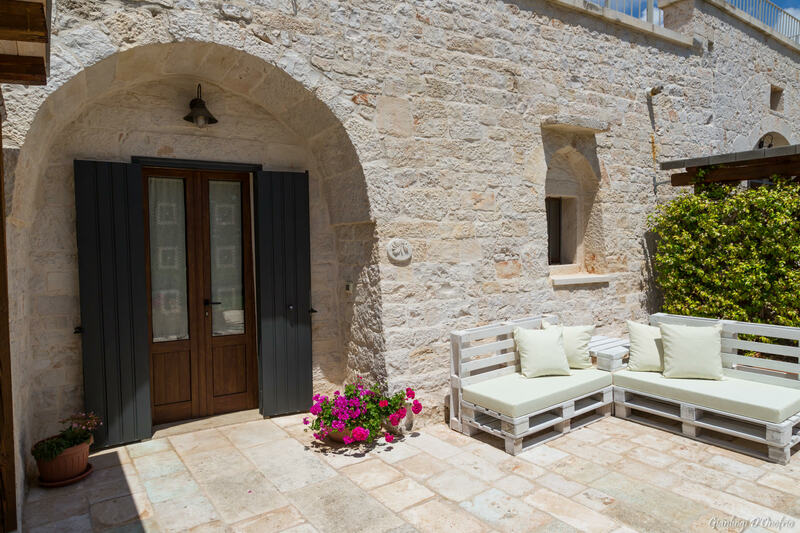 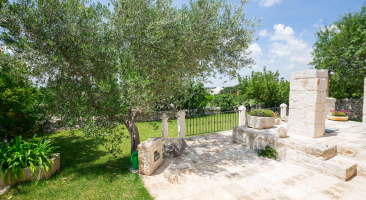 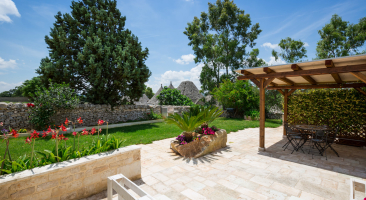 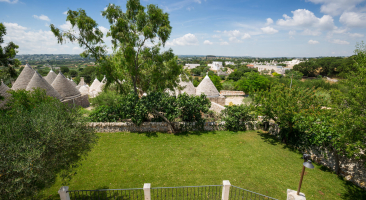 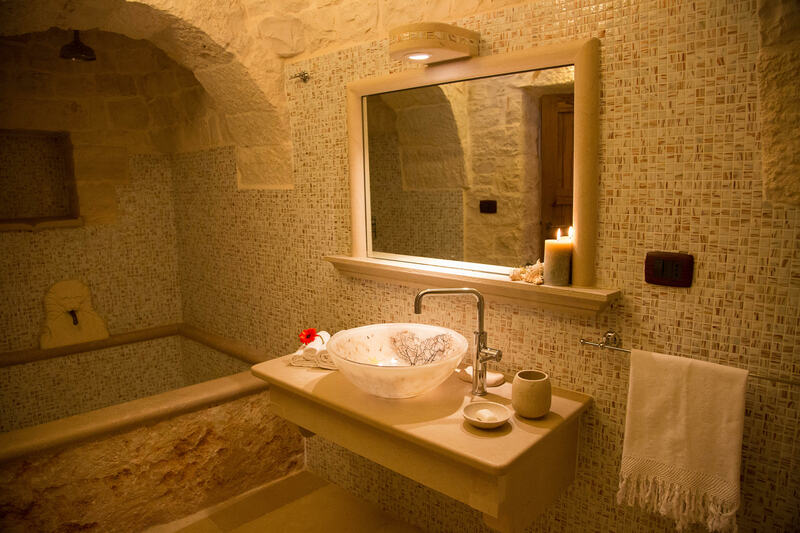 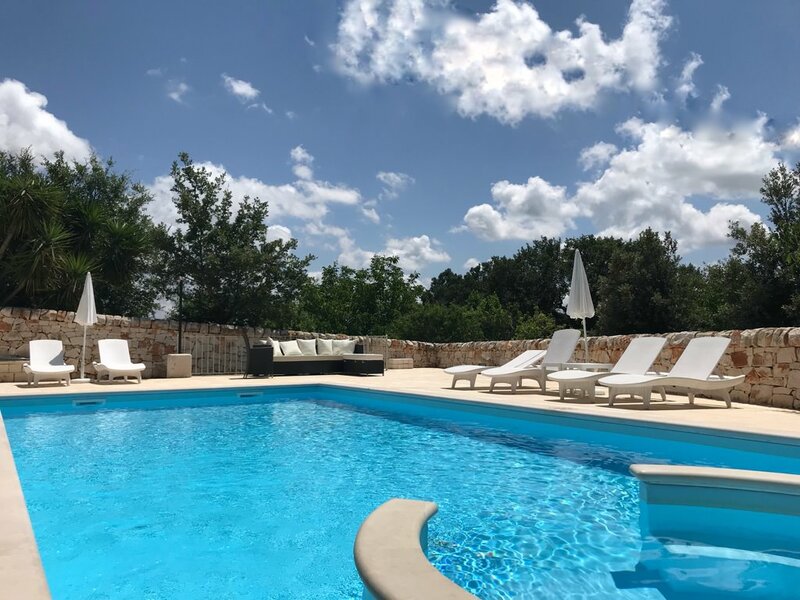 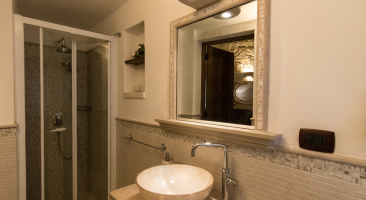 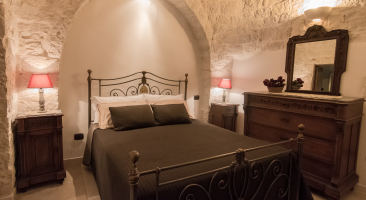 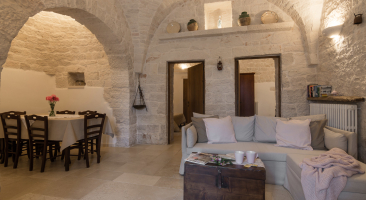 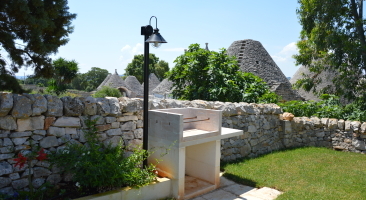 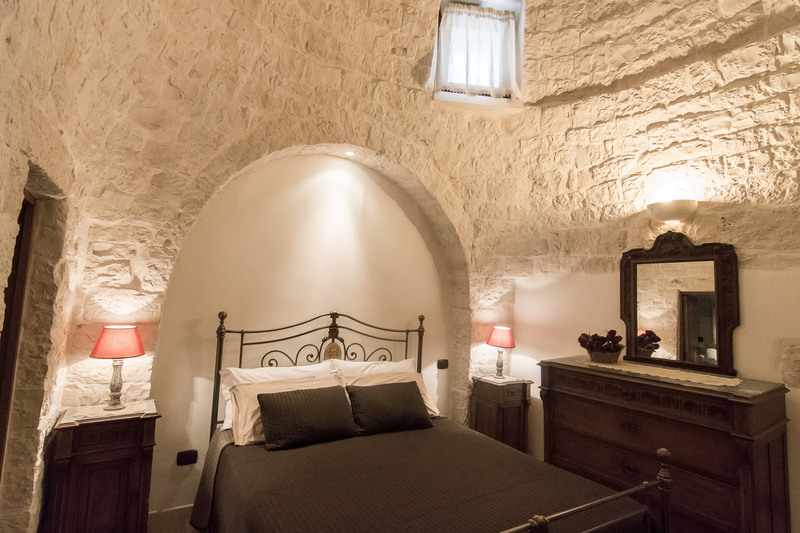 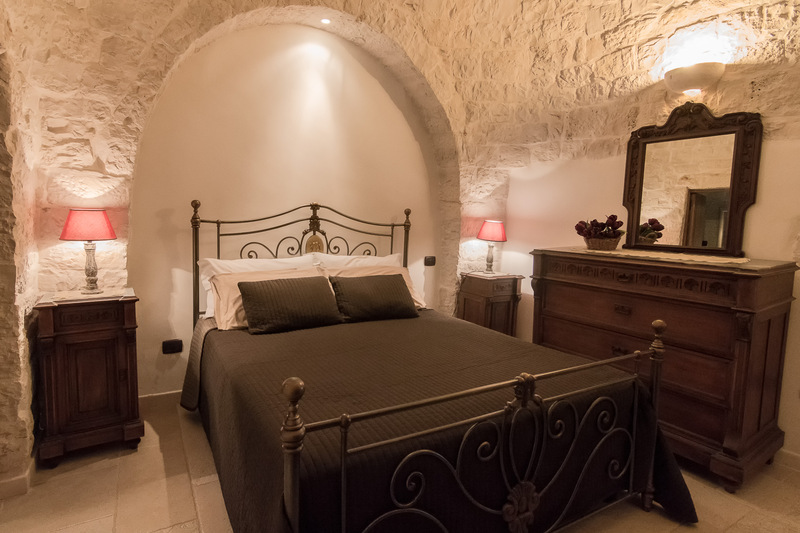 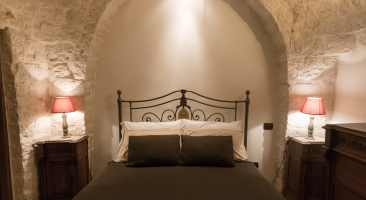 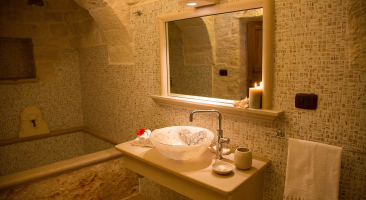 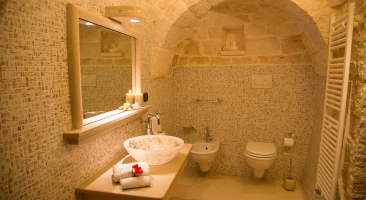 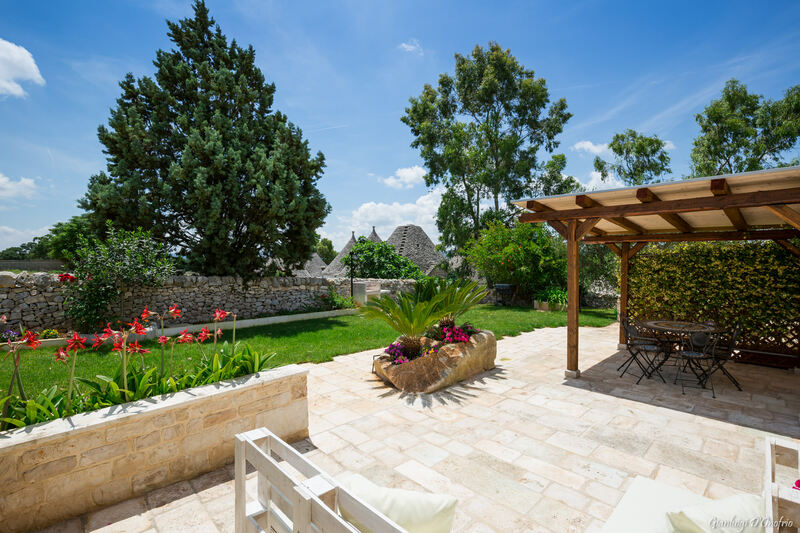 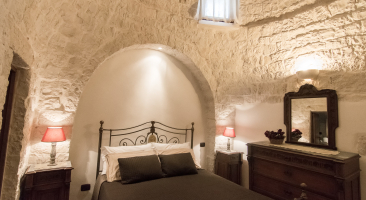 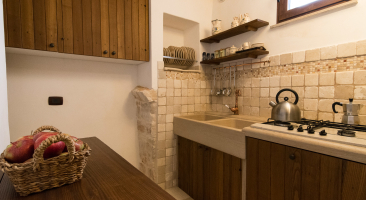 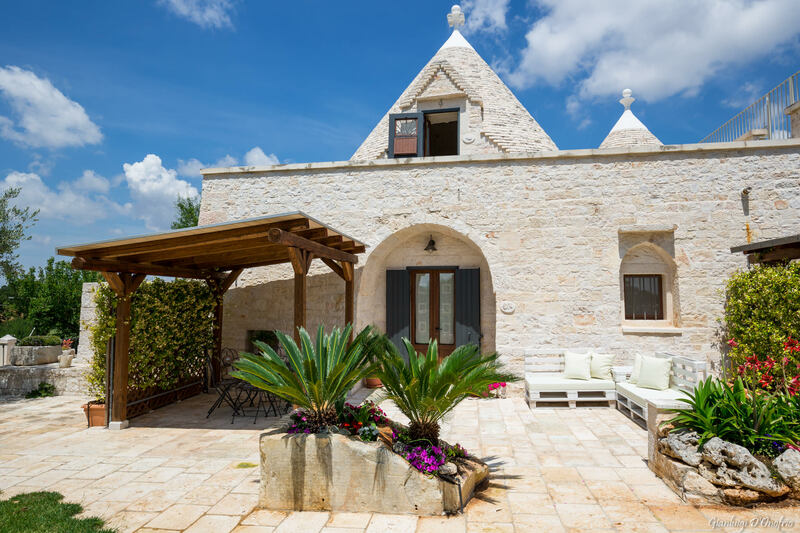 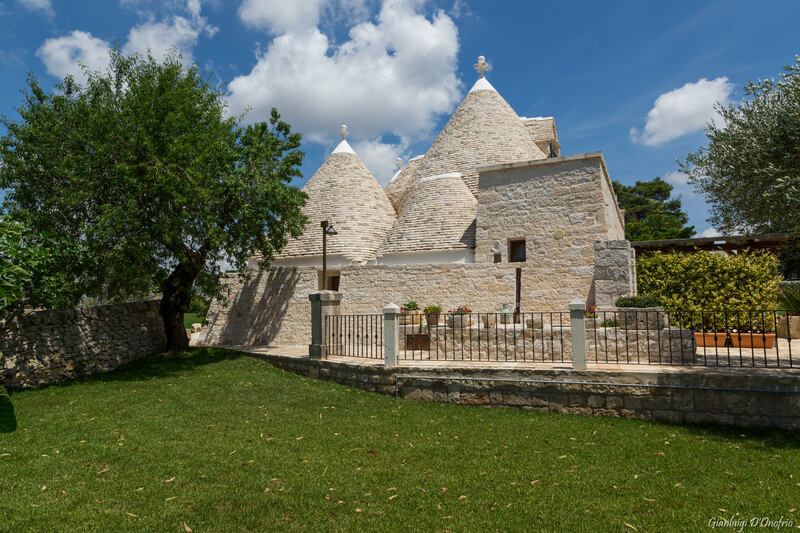 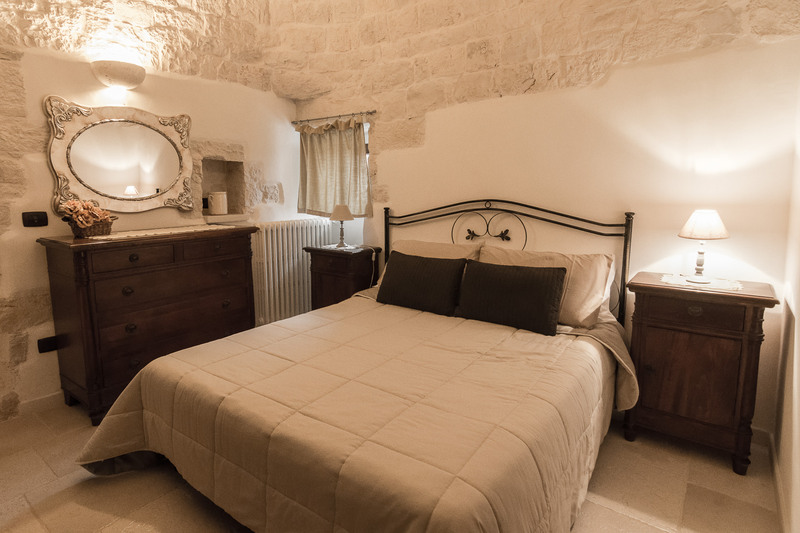 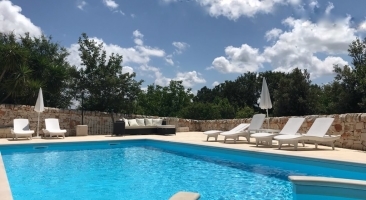 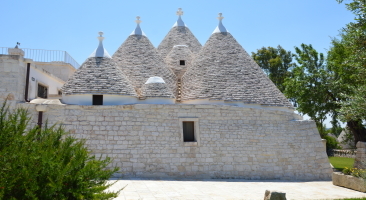 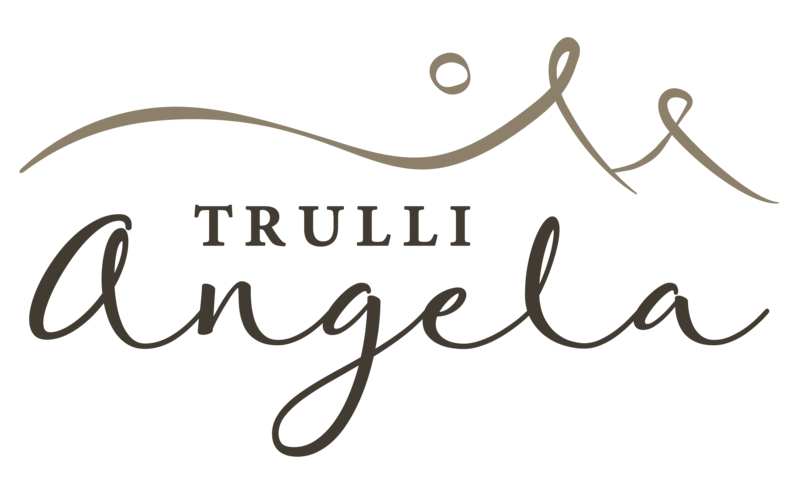 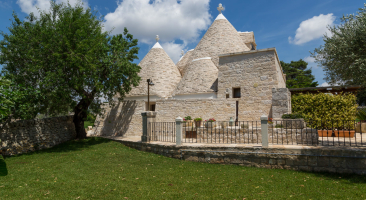 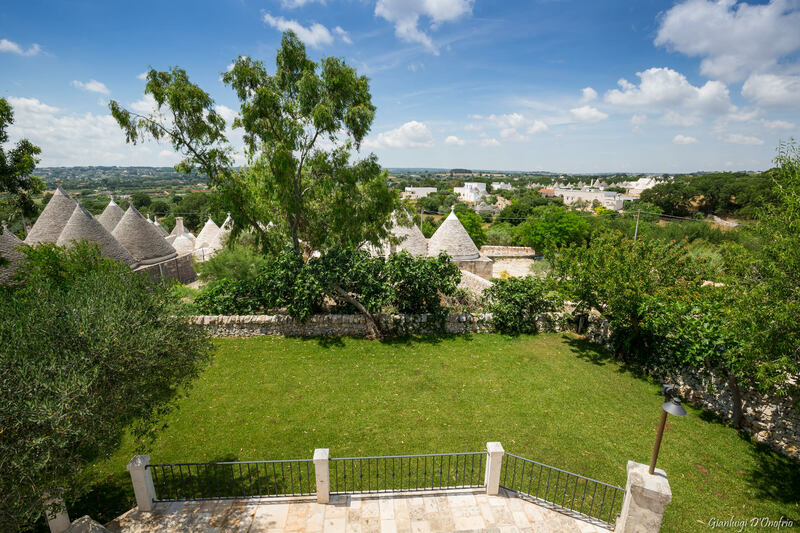 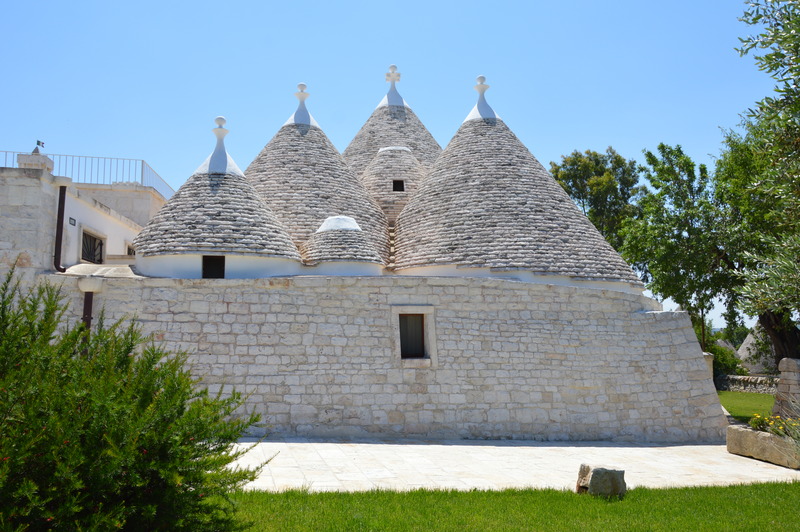 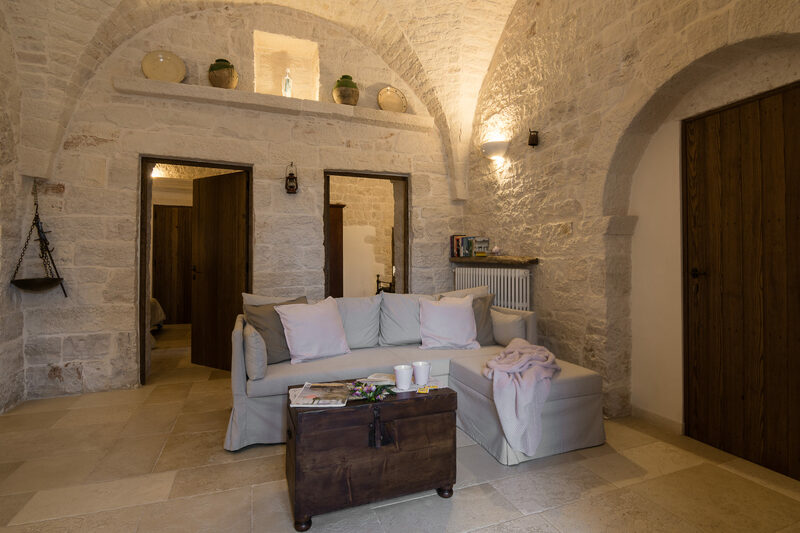 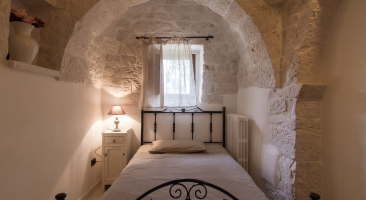 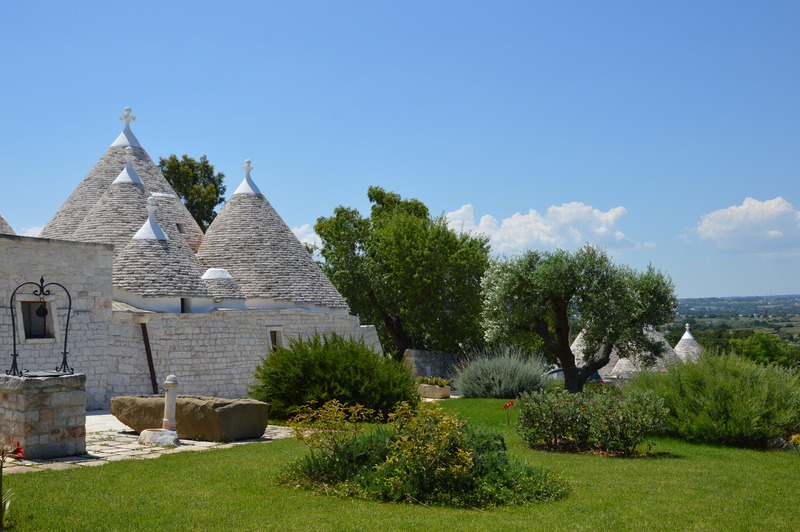 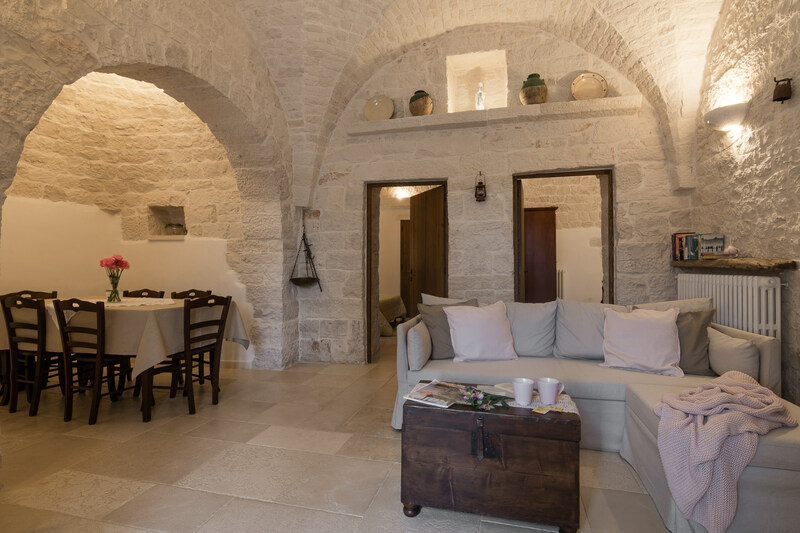 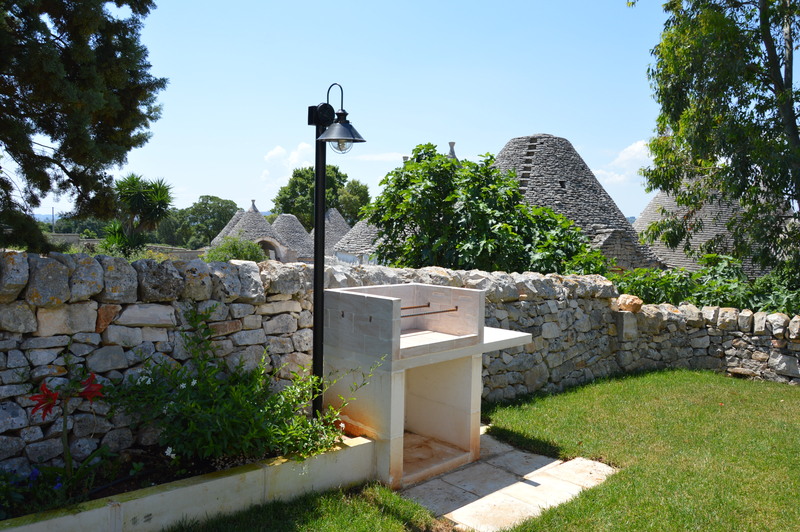 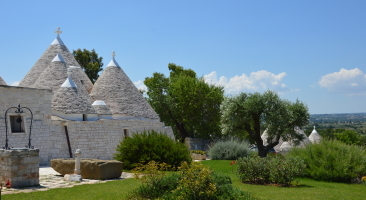 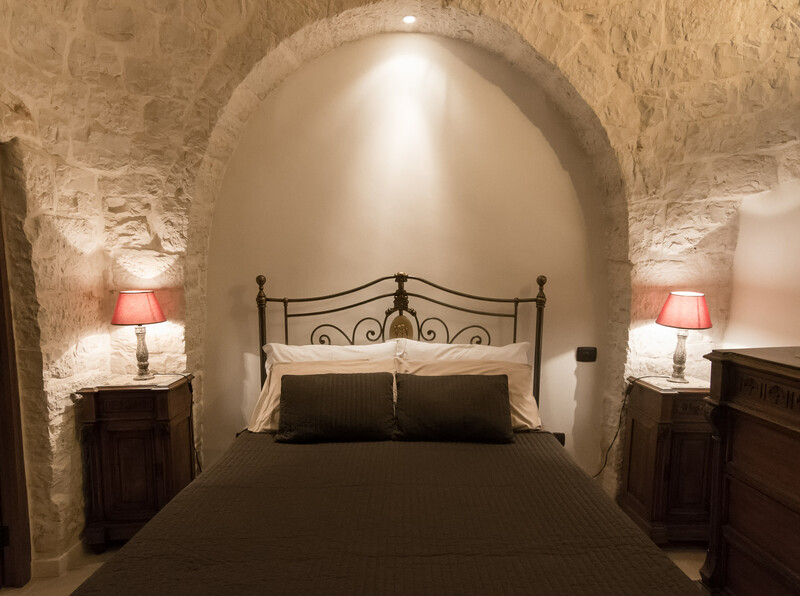 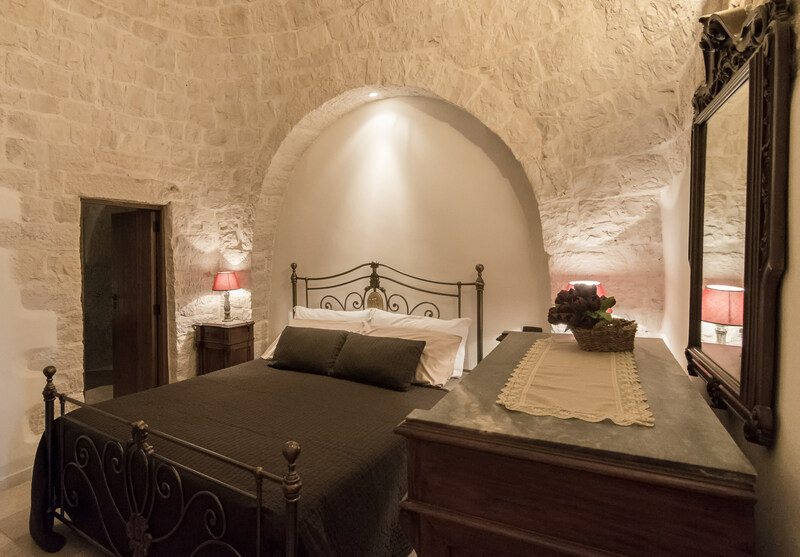 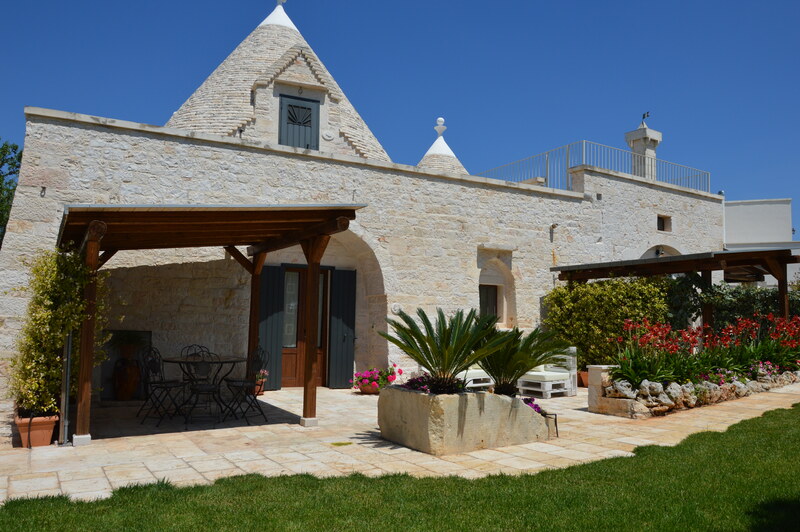 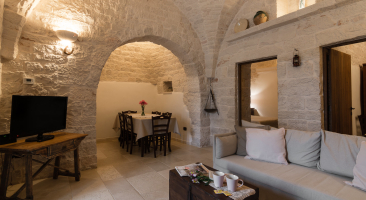 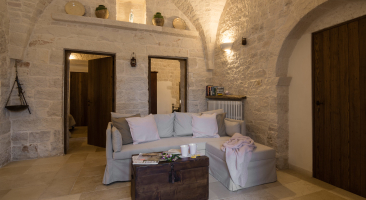 The inside is entirely in stone: there are three bedrooms - two double rooms and a single room with an ensuite bathroom – each in individual trulli. 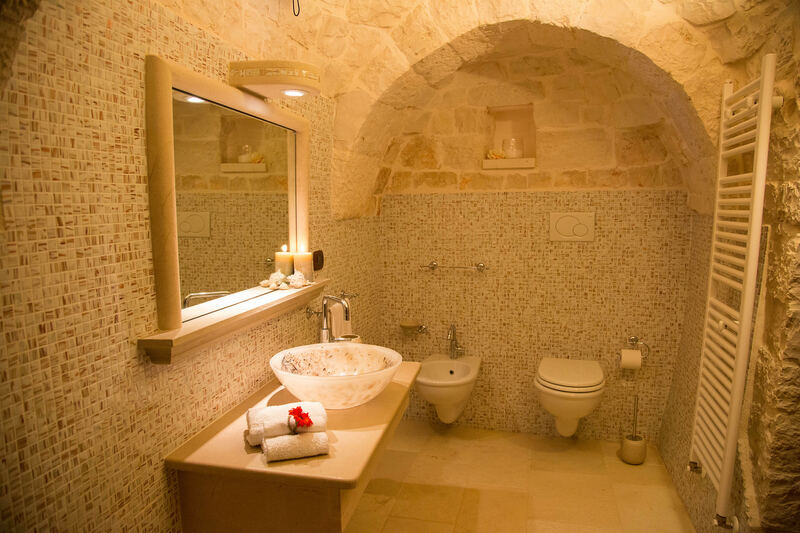 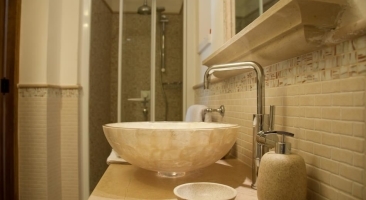 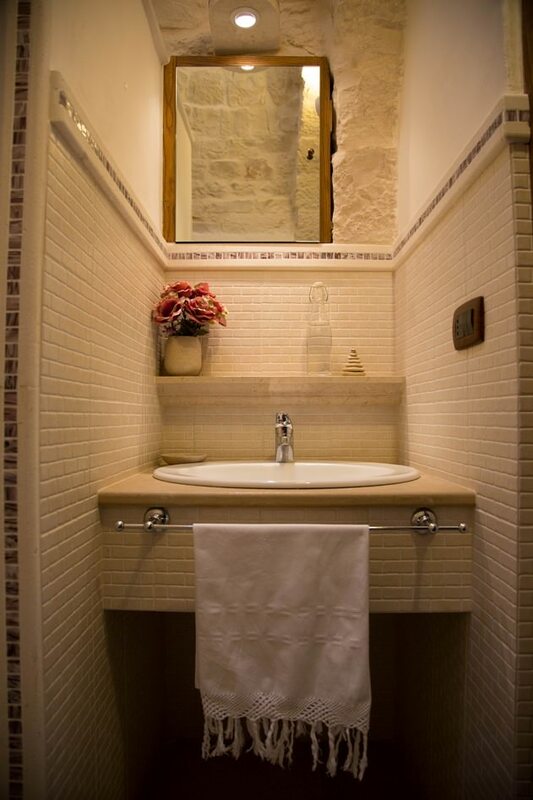 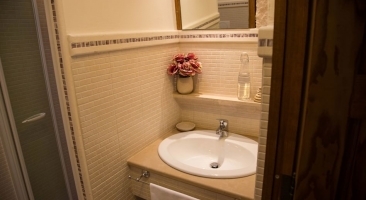 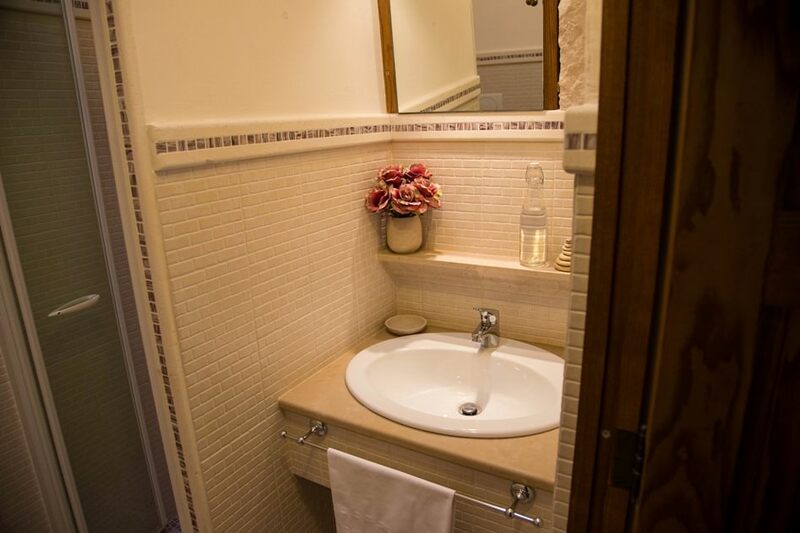 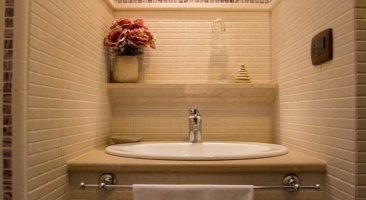 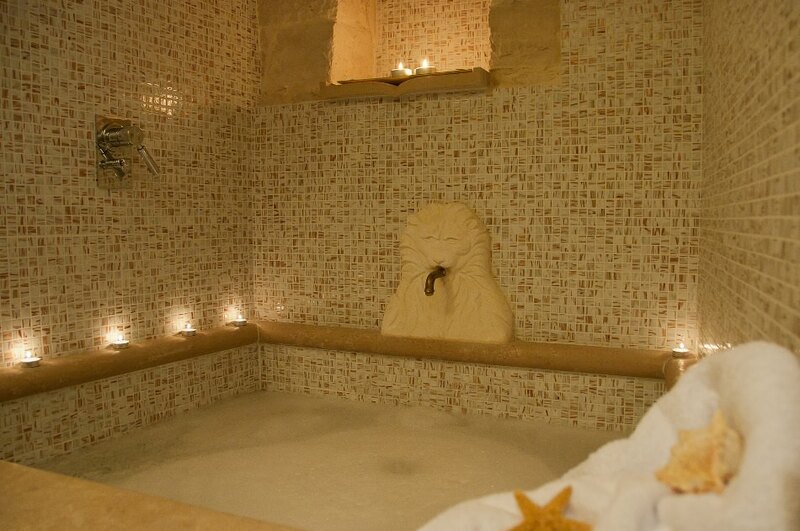 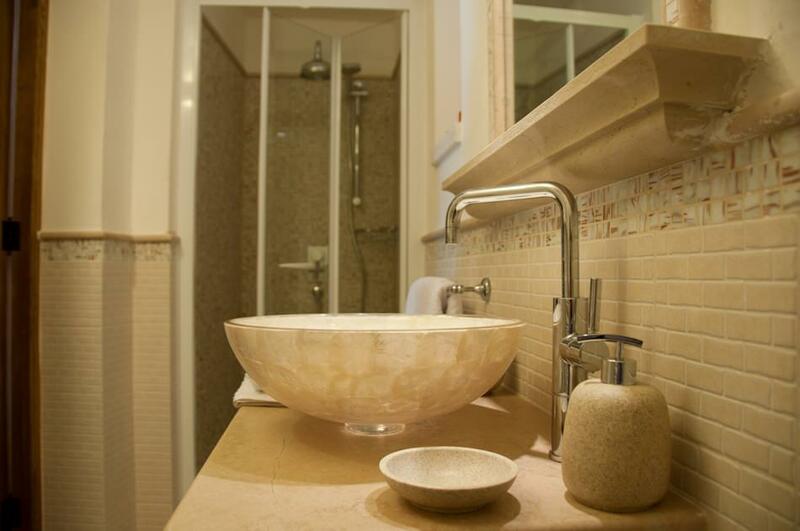 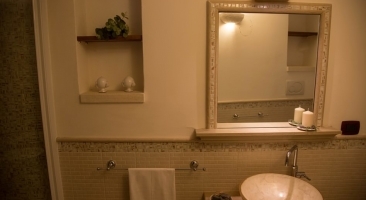 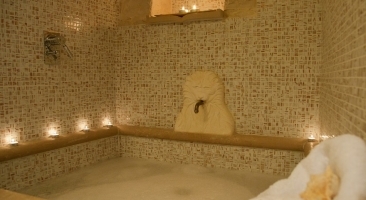 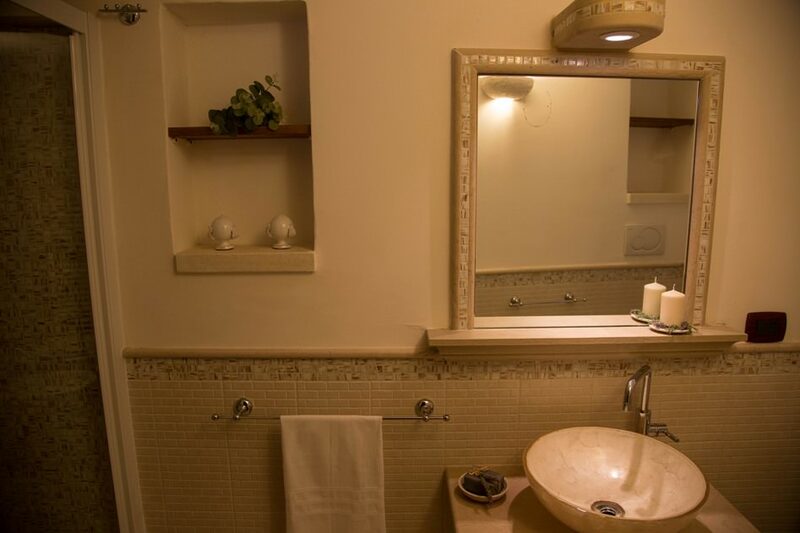 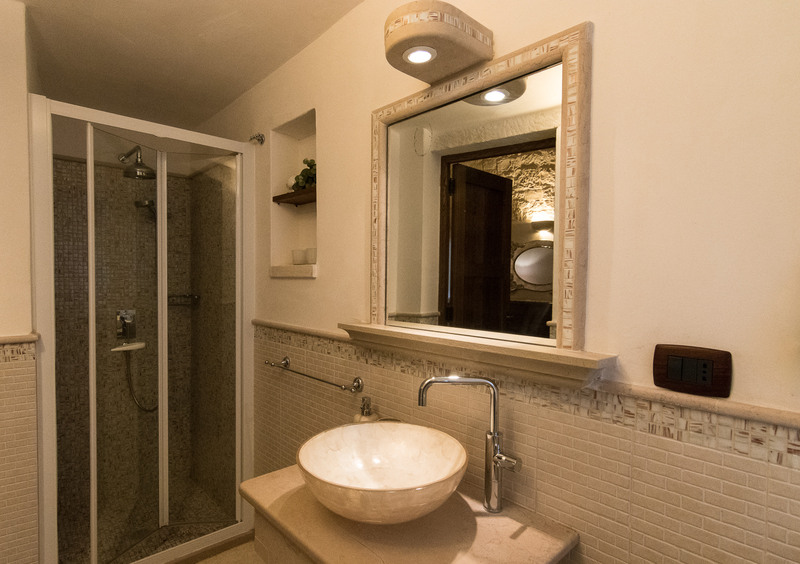 The large and elegant main bathroom has a very large stone bath also equipped with a shower. 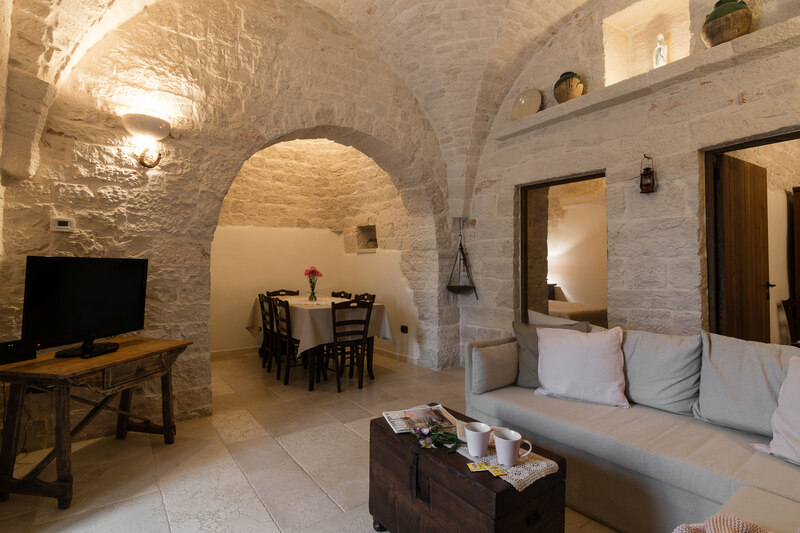 A star vaulted ceiling covers the seating area and the dining area and the fully equipped kitchen, where you will be able to prepare delicious food to share. 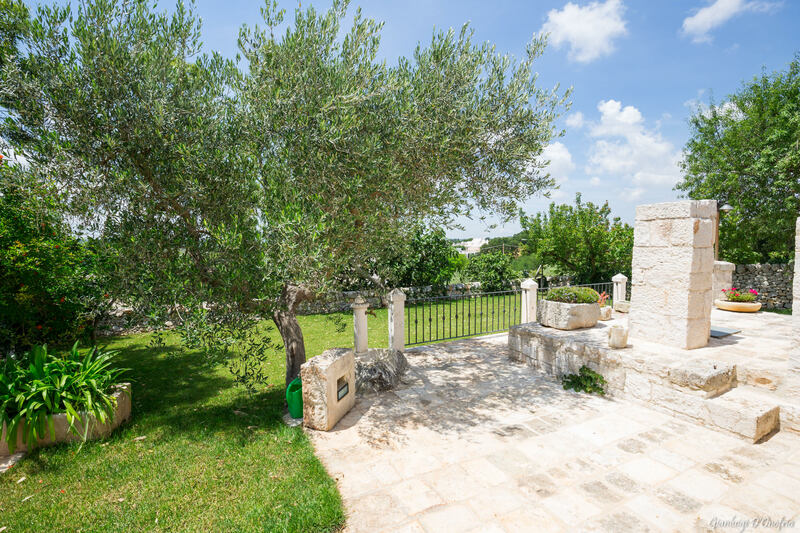 You will be able to enjoy the surrounding peaceful countryside in the front garden with a private barbecue and patio. 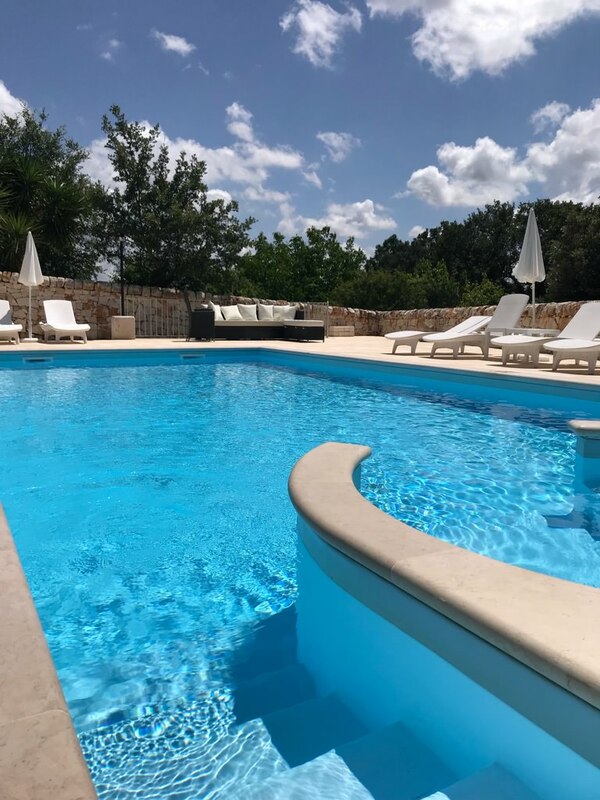 The shared swimming pool will offer relief in the warm summer days.